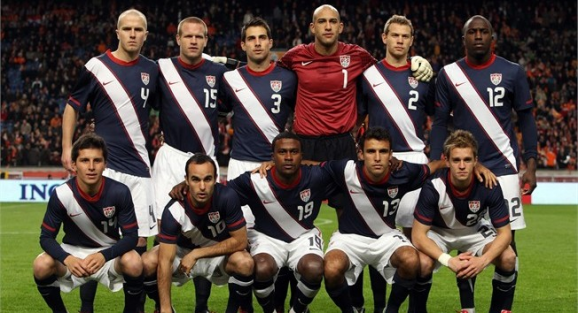 One look at the US Gold Cup roster tells you this will be a laboratory for Jurgen Klinsmann. While the first team for Brazil is starting to solidify, dependable depth still needs to be built and the Gold Cup offers an opportunity to do just that starting with Belize tonight. Veterans look for one last go-around while younger fringe players hope to prove themselves. It may be a B-team, but there’s still plenty of importance. Here are five guys that will benefit most from a good tournament. 1. Oguchi Onyewu – A name that just won’t die. Onyewu is certainly past his prime, he’s seemingly never fully recovered from his gruesome knee injury and has struggled to get consistent playing time at the club level. All those red flags and yet it’s easy to remember the incredible athleticism. The injury took some of that, but Onyewu is still a physical specimen and boasts valuable experience from his long career in Europe. All signs point to Matt Besler and Omar Gonzalez as the pairing for Brazil and it’s safe to say Geoff Cameron is No. 3 on the depth chart, but after that it gets murky very quickly. A healthy Onyewu is probably a better option than Clarence Goodson, Maurice Edu or Carlos Bocanegra. Besler and Gonzalez are going to be the Gold Cup starters in the knockout rounds to continue solidifying the main pairing, but Onyewu will get his chance in the group stage. Taking it will be a good start for working his way back into the Brazil picture. 2. Landon Donovan – It seem ridiculous to put the best player in US history on this list, but that’s the reality of the situation Donovan finds himself in. The US hardly missed him in qualifying and Graham Zusi’s emergence sees the LA Galaxy man fighting for a squad place for the first time since 2002. Personally, I think it would be ludicrous not to include Donovan on the World Cup roster (provided he’s healthy and wants to go), but his sabbatical really seems to have rubbed Jurgen Klinsmann the wrong way. 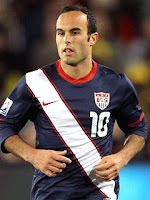 A dominating performance in the Gold Cup will shown Klinsi the US’ all-time leading scorer still has what it takes. Zusi on the right and Donovan cutting in from the left? Yes please. 3. Stuart Holden – Steve Davis did a breakdown of the National Team depth chart over at ProSoccerTalk and does a nice job explaining Holden’s situation. The midfielder is incredibly versatile with the ability to play on either wing, next to Michael Bradley or in behind the strikers and there’s certainly a need for depth at all of those positions. But the question will continue to be health. Despite Holden’s inspiring recovery from a brutal knee injury, he has yet to see extended time at the international level. He can shed that caveat with a good tournament and arguably no other player has the make-or-break status Holden does for this Gold Cup. If he can replicate his second half showing in Friday’s match against Guatemala throughout the tournament, there is definitely a spot for Holden in Brazil. 4. Jack McInerney – Calling this a breakout year for McInerney is an understatement. The 20-year-old is in the think of the MLS Golden Boot race and has drawn comparisons to Mexico’s Chicharito for his goal-poaching ability. While making the roster next June might be too much to ask so soon, Jac Mac’s Gold Cup is about one thing: proving he’s not Chris Wondolowski. That may sound harsh, but with such similar styles it’s easy to look at Wondo’s struggles on the international stage and wonder if McInerney’s scoring will translate to this level. 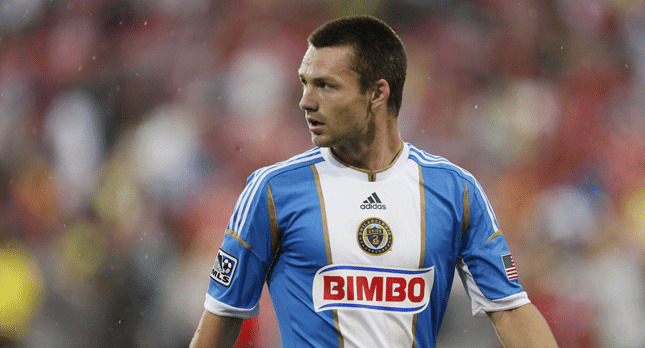 Although he was held out of the Guatemala game, the Philadelphia man should get his chance in a weak group stage. Find the net in the knockout rounds and McInerney may earn an extended look with the national team before Klinsmann names his World Cup roster. 5. 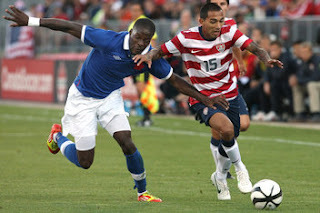 Edgar Castillo – Castillo has been an intriguing player for US fans and although Klinsmann continues to call him in, there’s a sneaking suspicion he doesn’t fully trust the Xolos defender. Case in point: choosing to start DeMarcus Beasley over Castillo in a must-win qualifier against Costa Rica. Despite the recent uncertainty of the outside back spots, the US actually looks solid for Brazil. Steve Cherundolo will be 35 by the time the World Cup rolls around, but he’s still a quality option on the right. Grumble all you want about Timmy Chandler, but he’s young and talented and could push Dolo for a starting spot. Left back is more open, but first choice is probably Fabian Johnson, despite his recent success as a winger. 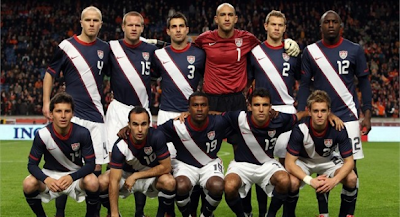 Beasley certainly isn’t the long-term solution and the US needs to head to Brazil with more depth on the left. Castillo’s versatility (he started on the left wing against Guatemala) makes him valuable, but he needs to show Klinsmann something in this tournament or the US has to start looking for other options.